Come to the 11th edition of INmusic festival! 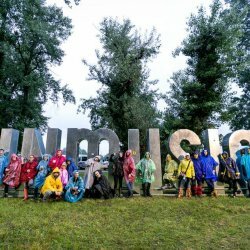 INmusic festival is Croatia's biggest international open-air festival. The festival will take place in Zagreb, on Youth Island (Croatian: Otok hrvatske mladeži) in the middle of Zagreb's Lake Jarun. 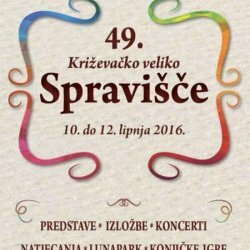 Come to the 49th edition of Križevačko veliko Spravišče! 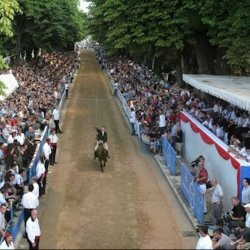 Križevačko veliko Spravišče takes place this year from 10th to 12th June. It is a traditional folk celebration which presents cultural and historical heritage of the Križevci region. 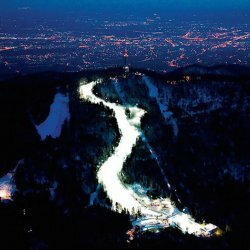 Visit SNOW QUEEN ski race in Zagreb! Once again Zagreb ski resort Sljeme will be hosting the best world’s female and male slalom racers on 3rd and 6th of January 2016. Snow Queen is a World Cup alpine ski race in Croatia. The men's and women's slalom races take place on the Medvednica mountaintop Sljeme. 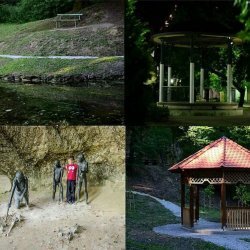 Come to Krapina and visit the 1st edition of the KRAPINJON festival! Every year in early autumn, which is the most beautiful time of the year in Zagorje, the Kajkavian Culture Week begins. Its many different programs and the very existence of the Festival celebrates what is old and traditionally from Zagorje country. 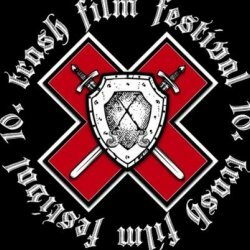 Come to the 10th Trash Film Festival in Varaždin! Of the three European film festivals dedicated to trash, one takes place in Varaždin, Croatia. Trash Film Festival is a festival of low-budget action movies and it will be held from 9th to 12th September. 48th Ilok grape harvest takes place this year from August 29th to September 6th. "Kaj su jeli naši stari?" 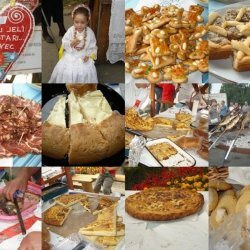 is an annual culinary event in Vrbovec near Zagreb. It is held every year in the last weekend of August. This year it starts on 28th and it lasts until 30th. The Vrbovec's most popular event takes place 35th time there, while the visitors, as every year, can expect a variety of local culinary delights. Moreover, the people of Vrbovec compete with each other in the preparation of traditional dishes, and all of that is accompanied by, of course, sports competitions and musical program. Visit the 29th Karlovac Beer Festival! Karlovac Beer Festival marks this year its 29th edition and with a very attractive program from 21st to 30th August becomes a regional gathering place for lovers of beer and entertainment. This year there are five stages, one of them is a some kind of jukebox - visitors will be able to order from the musicians their musical desire. 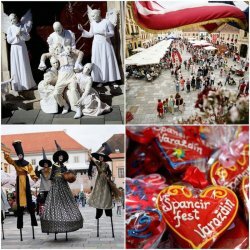 Come to the 16th Špancirfest in Varaždin! Špancirfest is a street festival that is held every year in Varaždin and it lasts for 10 days. This year it starts on 21st of August and lasts until 30th. Špancirfest turns this city into the Capital of Music, the Kingdom of Theatre and the Empire of Beauty created by the hand of the artist. Špancirfest exists for 16 years now and during that period of time it has welcomed over 10 000 performers from all over the world and millions of visitors. This year the crowd will be entertained by Parov Stelar Band, Jonathan, Markiz, S.A.R.S., Edo Maajka, Dubioza Kolektiv, Dječaci etc. Game of Thrones is one of the most popular TV shows in the history of HBO and the worldwide TV phenomenon. It was created by showrunners David Benioff and D. B. Weiss. The series is an adaptation of „A Song of Ice and Fire“, George R. R. Martin's series of fantasy novels, the first of which is titled „A Game of Thrones“. The series has attracted record numbers of viewers on HBO and won numerous awards and nominations. 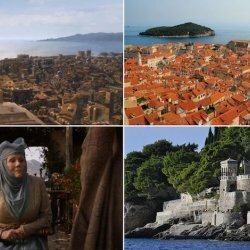 Game of Thrones was recorded at the many locations in Croatia, a country of exquisite nature and rich historical and cultural destinations. Sinjska Alka is unique knights' tournament in Europe, taking place each year on the 1st weekend of August in the town of Sinj. This year a jubilee 300th edition is expected, which will be held on August 9th. 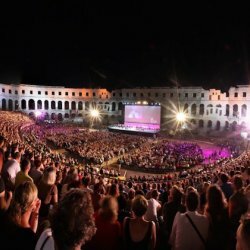 The Pula Film Festival is the oldest Croatian film festival which lasts from July 18th until July 25th. It is held every year in a Roman amphitheater known as the Pula arena since 1954. Continuing its rich, long standing tradition, this year the Festival will offer its visitors, film enthusiasts, various programmes of international and domestic film novelties divided into several programme sections. This is the only outdoor festival in Croatia. 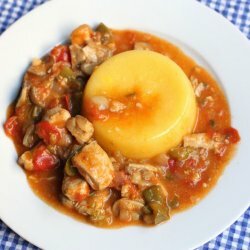 Chicken stew is usually made of pepper, potatoes, onion, chicken meat and other flavours. It is served with corn flour, mashed potatoes and pasta. This year's 26th edition of the Croatia Open Umag, which will take place from 17th until 26th of July 2015, will once again position Umag as the center of one of the most important sports and social events in Croatia. 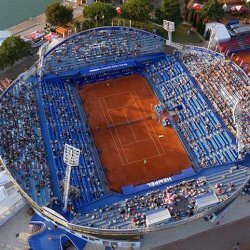 Croatia Umag Open is one of the oldest and most famous Croatian ATP tournaments. The first edition of the tournament was held in May in 1990. It is one of the most prominent and prestigious tournaments in the whole region. Tournament venue is tennis complex clay courts of the tourist village of Stella Maris. 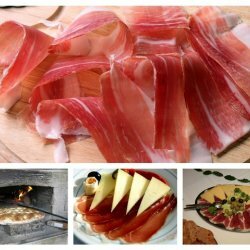 Dalmatian ham is a dried meat product, smoked for at least one year. Traditional and natural production process without any additives, except for sea salt, is what makes this product special and recognizable in the world. Residents of Dalmatia eat it with cheese, olives and bread. 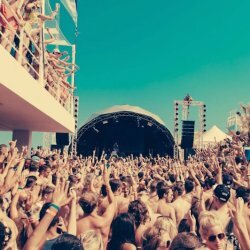 Experience the Ibiza atmosphere at the Croatia Rocks festival! 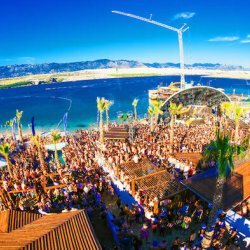 Croatia Rocks is a music festival settled down on the Zrće beach at the island of Pag. The festival is inspired by Ibiza Rocks stage. This year's festival lasts from 19th until 23rd July 2015 and it will take place at Zrće's nightclubs Papaya and Aquarius. 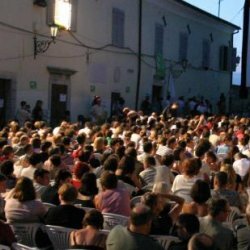 Motovun Film Festival is one of the most favorite and popular festivals in Croatia and the region. One of the things that make it so special and magical are its outdoor screenings in the streets and squares of the old town. The 18th edition of the festival is scheduled to take place from 24-29 July 2015 and this year the focus will be on French cinema and culture. Have fun at the Fresh Island 2015! Fresh Island is a festival at one of the most beautiful beaches on the island Pag – Zrće beach. It was launched in 2012 and it is now one of the world's top travel destinations for people who want to have fun and party at sea. This year the festival begins on July 15th and it lasts until July 17th. The party goes on not only at beaches but in clubs like Papaya, Aquarius and Kalypso. This year people can enjoy the rhytms of Action Bronson, Migos, Danny Brown, Skepta, Evidence, Just Blaze, Tropkillaz and many others. If you're looking for historical, adventurous and sunny destination, Hvar island is the right place for you. Hvar is a unique fusion of luxurious Mediterranean nature and rich cultural and historical heritage. 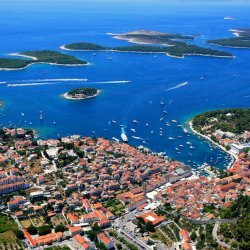 It is known as the sunniest Croatian and even European island, with 2726 sunny hours a year, while the maximum of 3053 hours was reached in 2003. 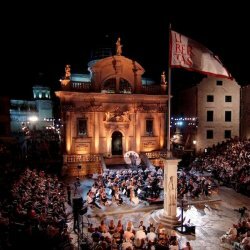 The stage of the 66th Dubrovnik Summer Festival! Dubrovnik Summer Festival is the oldest cultural festival in Croatia. It was founded in 1950s and it takes place in the renaissance and baroque town of Dubrovnik. This year the festival lasts from July 10th until August 25th. In that period of time there can be seen numerous theatrical, musical and dancing events in the streets and squares of the town.